Observation - P3241604 - UK and Ireland. Description: Pied Wagtail in foreground. White Wagtail in back???? 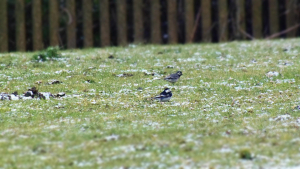 Pied Wagtail in foreground. White Wagtail in back??? ?